Photoshoot with food is not really my turf. I am more on landscapes and people where i can shoot displaying its natural elements and can capture at its best. Still, a recommendation to take a food shot with General’s Lechon to enhance more those techniques would lead me a vast experience to explore what I can give. Best about it, I can also have a chance to taste those lechon. 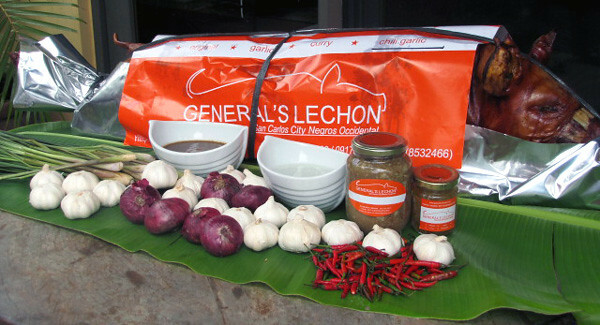 General’s Lechon started as a home-based lechon business ventured by couple Brian and Lynett Ong whose recipe originates from San Carlos City in Negros Occidental. 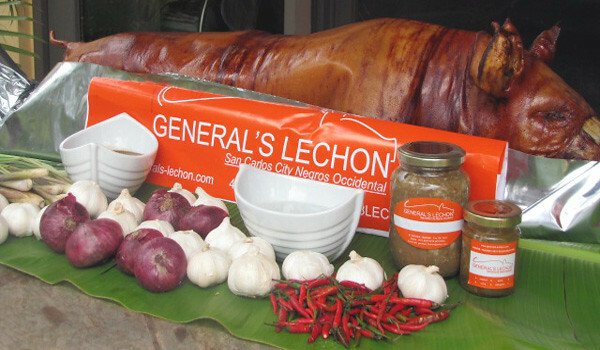 Lechon comes in different flavors namely Original, Curry, Garlic and Chili-Garlic. Sharing to you how we orchastrate our food photoshoot. As suggested, we take photos outside their kitchen to get those natural sunlight. Good thing that Brian and Lynett were ready with different items like huge banana leaves, plenty of onions, garlic, red chilli pepper and put it infront of the lechon. 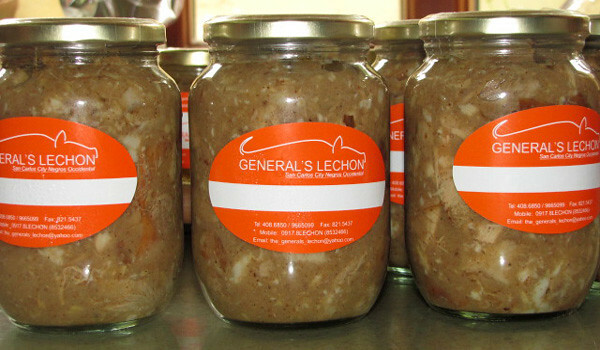 We add-up other stuffs like different dips/sauces and their other products like achara and lechon paksiw. The reddish skin that was slowly roasted is shiny that made it a standout and a best looking lechon. I tried to find the right angle and below is the result. Be the judge! Now the happy part, to taste it. 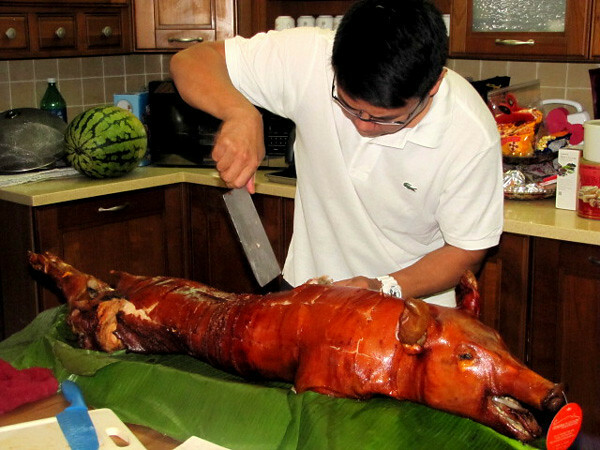 Brian personally cut the lechon and share to us how to enjoy more in eating the lechon. This was my first time to hear it. Mixing the skin with the meat is a big NO! NO! 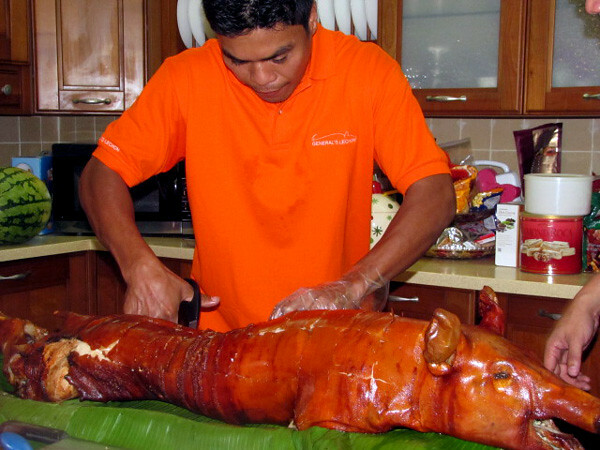 Not only will the crispiness suffer, but a part of our lechon experience is compromised. 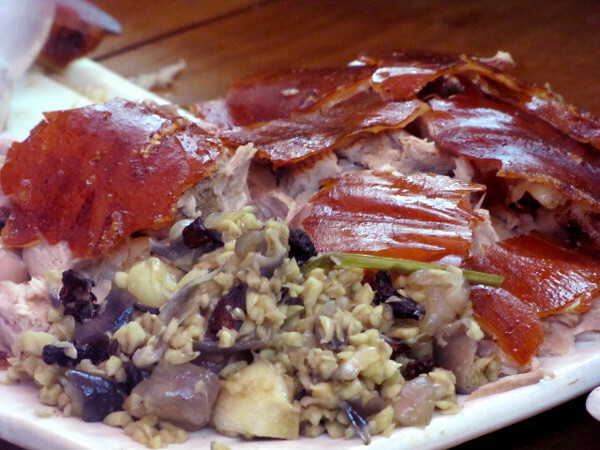 Serve the skin in a platter, better yet, eat it straight from the lechon. 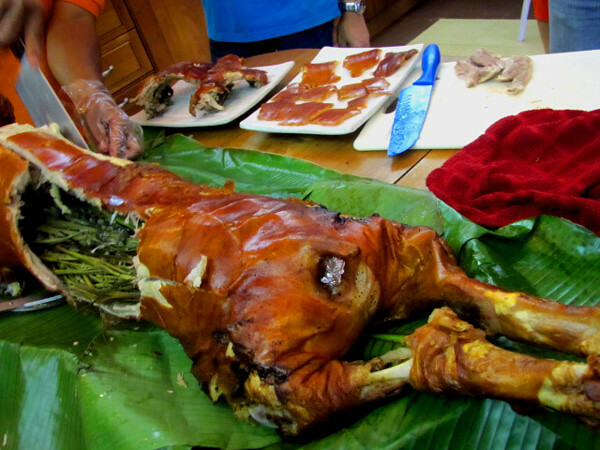 Many say that this is one of the best parts of our lechon. Take a slab or a piece, eat it using your hands and slowly nibble. 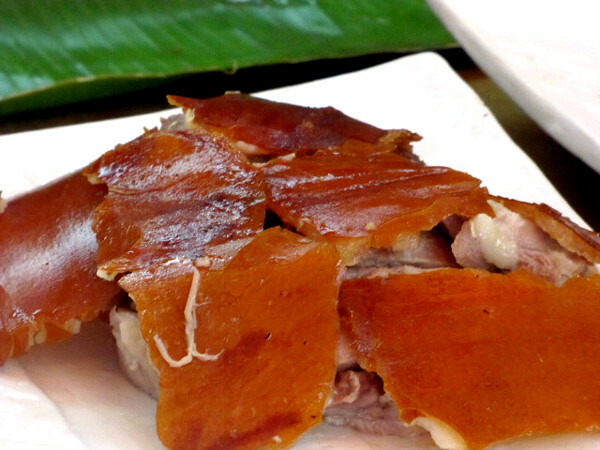 The belly portion contains the most flavour, and is also the tenderest part of our lechon. Go dig in using your fork and twirl it. 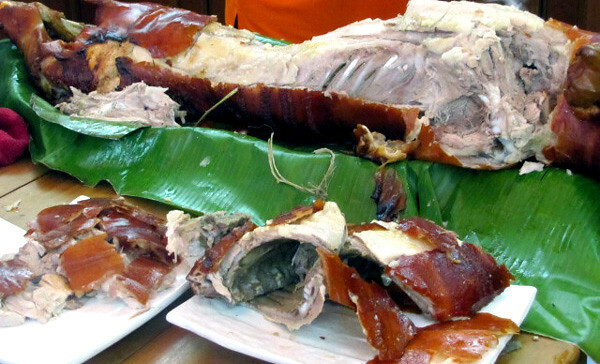 Lechon aficionados love to eat ears, and we know that. This will be crispy outside and the cartilage will give you a nice chewy time. 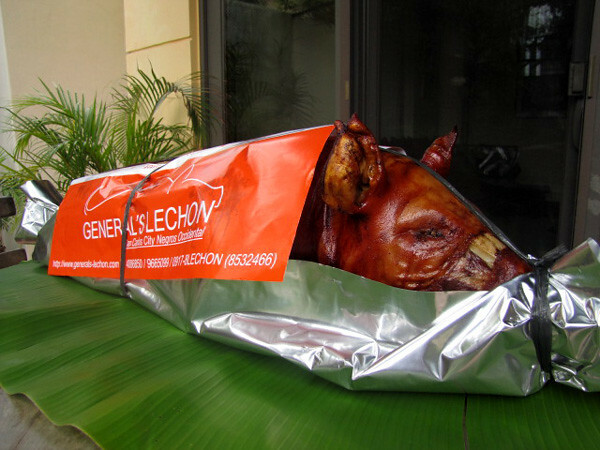 Try it, and the lechon will never look the same way again. This is usually for the late comers. Although we don’t like late comers, we still love them. That is why we made sure, that the white meat is still tasty. Feel free to dice this portion. 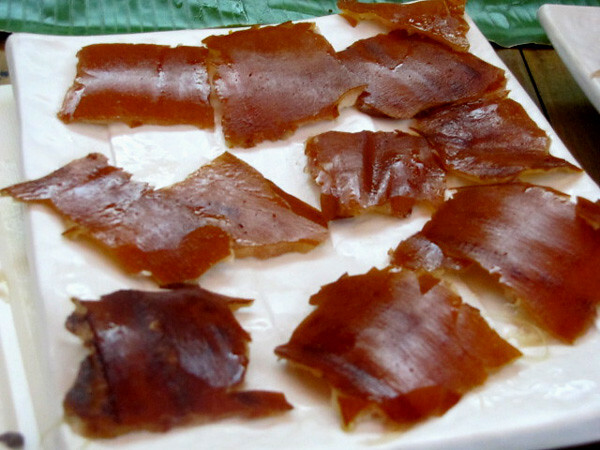 The pork skin is thin, crispy and crunchy which is easy to tear apart. When they were cutting the skin, one can hear those crackling sound which I also experienced while biting those squared skins. Those skins did not have fats. 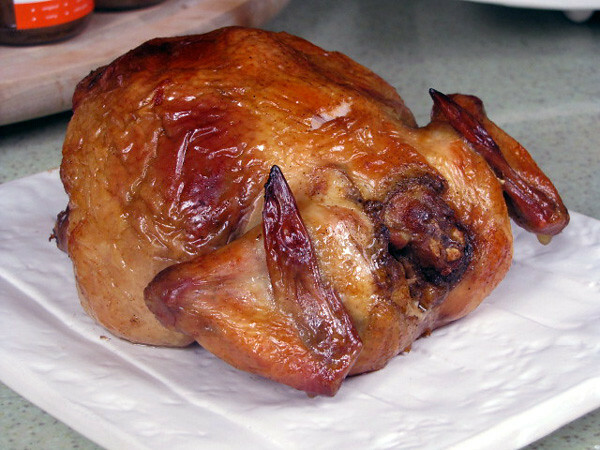 The meat is soft, tender and flavorful. Maybe because those herbs and spices inside are abundant. One cannot get tired on the taste especially if this was dip in vinegar with lots of chopped garlic. 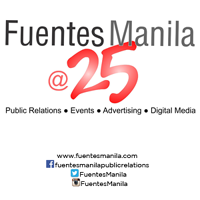 Lechon price ranges between Php 3,000.00 – Php 6,000.00 depending on its size. Overall, it was a bliss of fulfillment where I play around with light, composition and angle with those big lechon. The important use of natural light is a means to convey visually how effective the subject is. 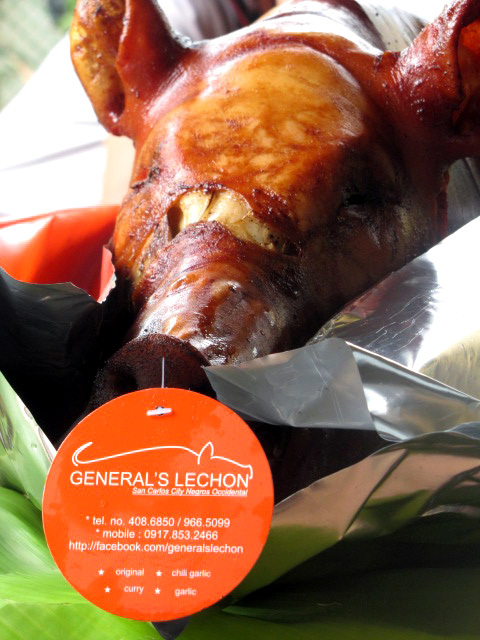 With General’s lechon crispy reddish skin made it a standout to make it succulent to taste. It was also a great experience to indulge into different flavors which made General’s Lechon extra-ordinary not to mention the crispy leaned skin and soft meat. 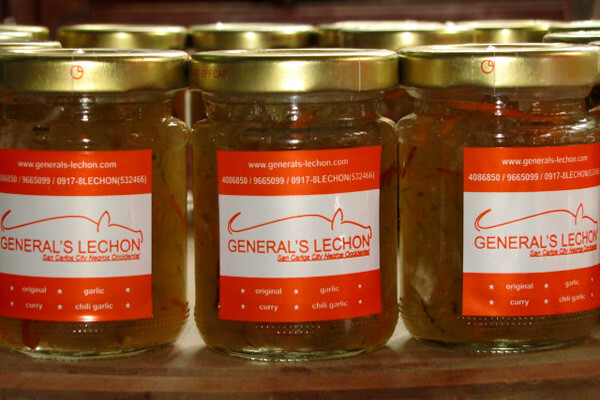 General’s Lechon will be opening their first branch this March 20, 2013 near Edsa-Pasay Road Makati where people can buy their flavored lechon in kilos.